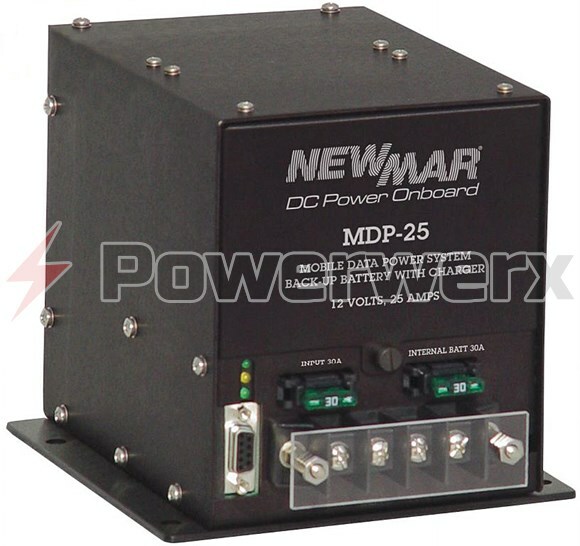 The Mobile Data Power, model MDP-25, is a DC UPS that solves the common problem of lengthy reboot sequences, system crash, data and hard drive corruption in mobile computer work stations due to a low voltage and loss of power as a result of intermittent or poor vehicle battery condition. In addition, the MDP provides a low voltage output warning signal to terminals (such as Motorola® MW 800 series work stations) allowing orderly automatic shutdown of the powered device, protecting data and preventing hard drive corruption. Utilizing a high speed sensor circuit, when primary vehicle voltage drops below a critical point, the internal 9AH battery is switched on-line in milli-seconds, assuring no interruption to the powered device(s). The MDP-25 has an internal 3 step, temperature compensated charger that maintains its reserve battery at full charge, ready to go on-line when a fault or degradation of primary vehicle battery occurs. This functionality assures continued operation of mobile computers under a variety of adverse vehicle battery conditions. 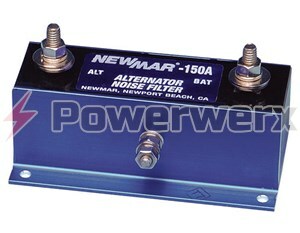 Housed in a rugged aluminum case and heavy duty mounting plate, the unit is designed for installation in emergency vehicles, service and other utility vehicles that require a steady source of voltage for mobile computers, work stations, and electronics. Voltage loss due to cycling of master disconnect switch and battery failure. 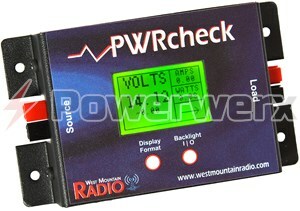 Provides supplemental voltage in milli-seconds to mobile data devices when low vehicle battery is sensed. 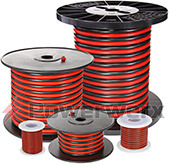 Immediately augments power to electronics when needed and fully powers electronics if critical low voltage condition persists. Initiates low voltage shut down sequence in mobile computer, protecting data and hard drive. Internal 3 stage, temperature compensated charger maintains back-up battery in fully charge stand-by state. 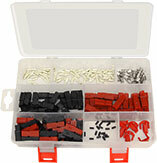 8 AH, sealed Lead Acid – typical life 5 years, easily replaced via front panel access door.